Flexible terms and monthly costs and mileage makes Contract Hire ideal for equipping your business fleet with brand new Kia cars. Cut down on your financial and administrative costs with our cost effective Kia leasing offers for business. Our Business Contract Hire offers are available to limited companies, sole traders or partners. Contract Hire gives you the option to pick your own terms for leasing a new Kia including the annual mileage, initial deposit and length of the agreement. Learn more about Business Contract Hire and our other finance options available at Chorley Group on our dedicated finance page. Step One: Explore our new Kia range online and find the Kia most appropriate for your fleet. 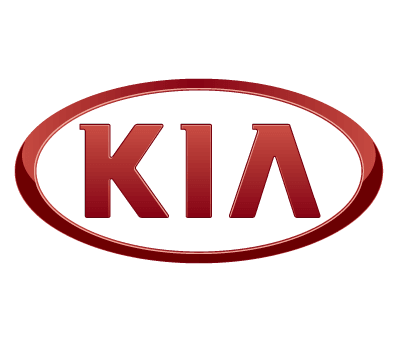 Learn more about the Kia range here. Step Two: Pick your new Kia and arrange your free 48 Hour Test Drive! Equip your fleet with the latest technology in fuel efficiency and in-car technologies like Sat Nav, reversing cameras and Bluetooth. The Kia Niro '1' trim includes all the essentials, including a list of extra comforts and benefits . The '1' trim comes with Bluetooth® with Voice Recognition & Music Streaming, Lane Keep Assist System (LKAS) and Dual Automatic Air Conditioning. Kia Niro leases are also available on higher grades/specification. The All-New Kia Rio. Your time, your rules. Kia's brand new compact SUV, released 2017. Created for drivers who live every moment, push every boundary and relish every adventure, the All-New Kia Stonic brings fresh excitement and a free spirit to the urban Crossover experience​. The Kia Optima '2' trim includes all the essentials, including a list of extra comforts and benefits . The '2' trim comes with 17" Alloy Wheels, Reversing Camera System and Electronic Stability Control (ESC) & Vehicle Stability Management (VSM). Kia Optima leases are also available on higher grades/specification. The Kia Optima Sportswagon '2' trim includes all the essentials, including a list of extra comforts and benefits . The Sportswagon '2' trim comes with Dual Automatic Air Conditioning with Ioniser, 7" Touchscreen Satellite Navigation with European Mapping and Electronic Stability Control (ESC) & Vehicle Stability Management (VSM). Kia Optima Sportswagon leases are also available on higher grades/specification. The Kia Sportage '1' trim includes all the essentials, including a list of extra comforts and benefits . The Sportage '1' trim comes with Front Fog Lights, Bluetooth® with Voice Recognition and Music Streaming and All-round Electric Windows with Driver's Auto Down Function. Kia Sportage leases are also available on higher grades/specification. The Kia Sorento KX-1 trim includes all the essentials, including a list of extra comforts and benefits . The Sorento KX-1 trim comes with Electric Folding Mirrors with Side Repeaters, LED Daytime Running Lights and Manual Air Conditioning. Kia Sorento leases are also available on higher grades/specification. Terms and conditions: * £295 Business Centre admin fee is applicable. Contract hire offers for business users. All quotations are subject to availability, status and agreement.